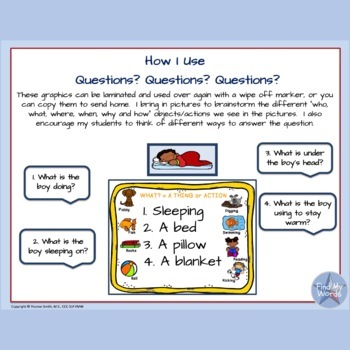 These graphic organizers are a great way to work on “Who, What, Where, When, Why and How” with your students/clients. 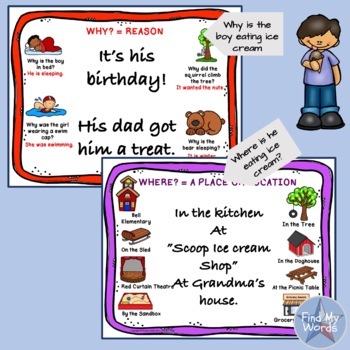 Each page has an explanation for the question word, as well as visual examples and written explanations. 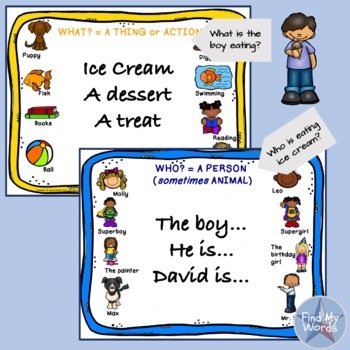 There is blank space in the middle for you to help your students/clients come up with answers for their own targets. You can challenge them, by asking them to come up with more than one way to answer.